LKMA developed the plans for the conversion of a portion of Centereach Park to a 3600 S.F. Youth Center and 8400 S.F. Parks Administration Building. The residential nature and hint at “Adirondack” architecture is meant to maintain the scale and context appropriate to the surrounding neighborhood. LKMA provided engineering and architectural services in conjunction with US Green Building Council’s LEED certification guidelines. 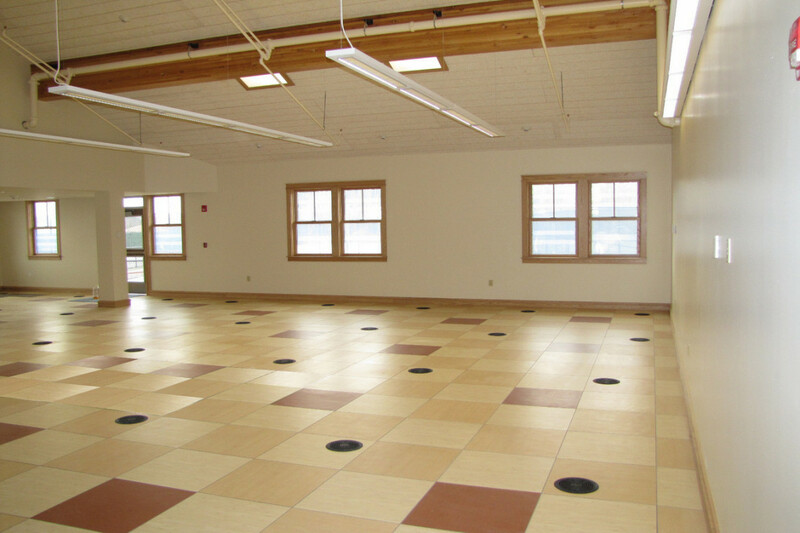 Amenities include a 20 kW Solar Panel Assembly on the south roof, under floor air distribution (UFAD), energy saving SIP walls and ceilings, and an abundance of natural daylighting. Water saving devices and low toxic emitting materials were specified. 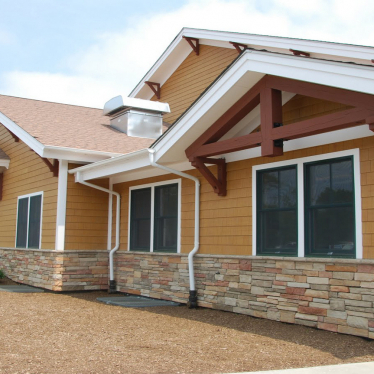 The Town of Brookhaven Parks Department consolidated two departments into this new LEED Silver targeted 12,000 square foot office building and youth center. 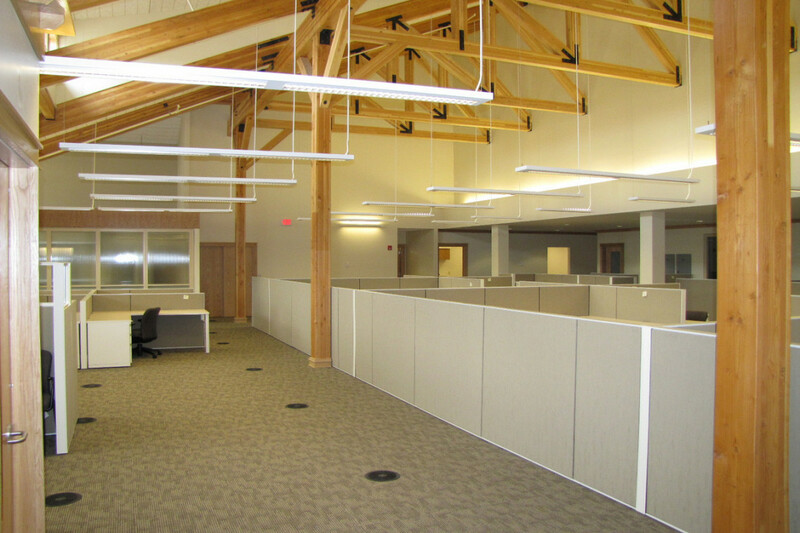 Energy savings of 23% based on energy modeling. 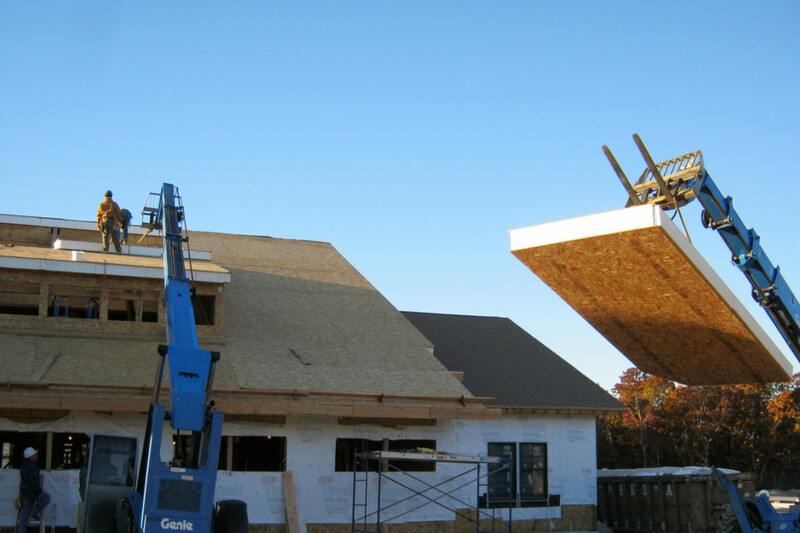 Structural Insulated Panel (SIP) Roof and Wall construction provides high insulation values, eliminates thermal bypass of framing members and provides a well sealed envelope. 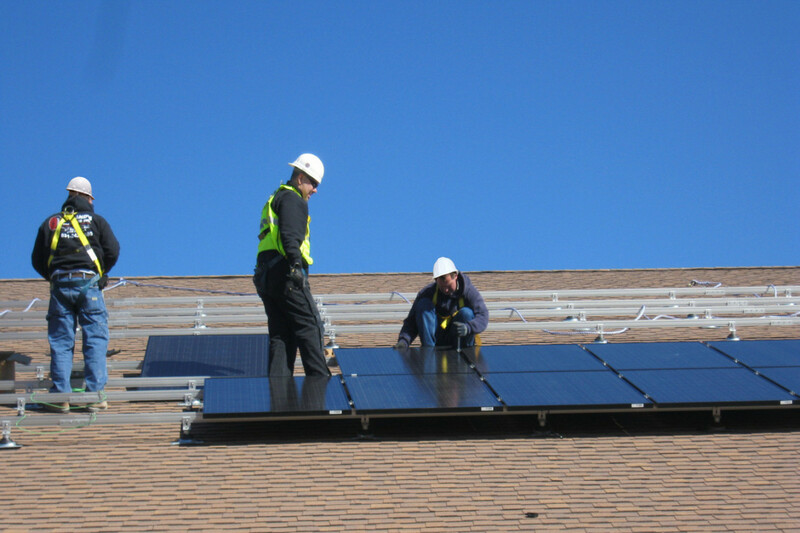 Rooftop Photovoltaic Panels generate approximately 20,000 kW per year.